Dr. Rich Hess currently has over 20 years of teaching experience at Nicolet Bible Institute coupled with years of Christian service in youth ministry at Silver Birch Ranch. After having received preparation at New Tribes Missionary Training Center (1980) and New Tribes Mission Language School (1981) he served as a linguist in the Macu tribe in Colombia, South America for nearly a decade prior to coming to NBI. Other schooling experience includes a B.S. degree in biology from Ursinus College, PA (1970-74) and a D.C. degree from National College of Chiropractic (1974-77). He is married to Margie and they have two adult children - Joshua and Jacleen. 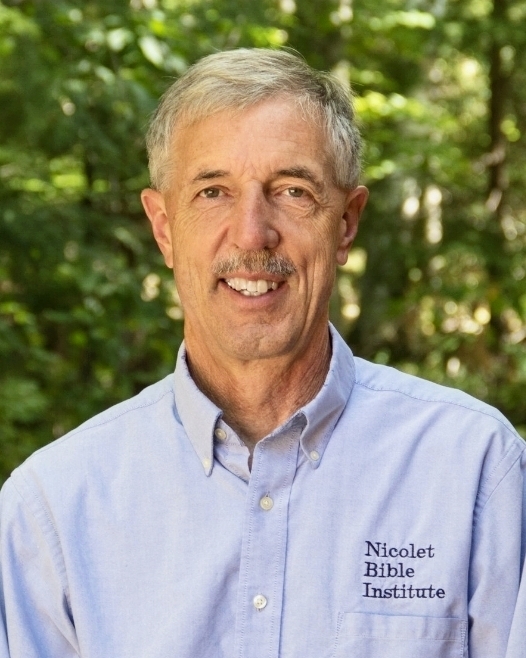 Dr. Steve Sanford currently has over 25 years of teaching experience at Nicolet Bible Institute. Prior to coming to NBI, he served as a Youth and Associate Pastor at Powderhorn Park Baptist Church in Minneapolis for seven years. His educational background includes a B.S degree from the University of Minnesota (1980), Master of Divinity degree from Bethel Seminary (1985) and a Doctor of Ministry degree from Bethel Seminary (2003). He is married to Becky and they have three adult children and six grandchildren. Dave has been actively serving our nation's youth since 1970, and thoroughly enjoys making the truths of God’s Word simple and applicable. He is a husband to Linda (37+ years), a father to Krista and Sara, as well as a friend and teacher to the thousands who visit the grounds of Silver Birch Ranch (silverbirchranch.org) and listen to him via podcast and radio. He claims to not to be very smart, but very experienced, and loves to share his experiences with those he is privileged to teach. Adjunct Professor for TEDS, U of NW Ohio, and North Greenville U.